One of the world’s most popular media pranksters is controversial British actor and comedian Sacha Baron Cohen. He is well-known for his hilarious personas of Ali G., Bruno, Borat, and others, which he’s used to interact with various unassuming celebrities and the general public. Many have called his ability to execute these comedic stunts “genius”, especially because he has managed to grow quite an impressive repertoire that includes unlikely public figures, such as Roy Moore and Sarah Palin. Two of his most popular and entertaining segments in his cable comedy series “Who Is America” involve teaching pro-gun campaigner, Daniel Roberts, and now former Republican representative of Georgia, Jason Spencer, in a presumed antiterrorism training. Roberts readily chomped down on a strapped adult toy as a tactic to “avoid beheading” during his training. Spencer was convinced to threaten make-believe terrorists with homosexuality by coming at them with his bare buttocks and yelling “America!” Truth be told, these individuals seriously believed that these tactics could thwart terrorism, and they became furious once they learned that they willingly participated in what turned out to be a mockery of themselves in a publicized prank. Needless to say, efforts for legal action have been made, even though it isn’t likely that they will win their cases. Cohen has definitely been on the receiving end of a lawsuit or two. In fact, in his 2007 Golden Globes acceptance speech, Cohen said, “Thank you to every American that has not sued me… so far.” Although he has felt the sting of a judgment favoring the plaintiff against him, he has managed to shake off the majority of cases. Anyone that watches his various comedic stunts is likely to wonder, “How the heck is he able to do this! ?” Let’s take a look, shall we? Although First Amendment rights and censorship remain highly debated subjects, this constitutional right is also highly protected. Radio broadcasts and motion pictures can be considered a form of artistic expression, which is protected under this free speech amendment. Cohen has chosen to have his artistic expression show the shocking limits and absurdities that people will accept, which can be particularly eye-opening and certainly entertaining for the average viewer. “Newsworthiness” is a thing. If the court determines that the content is somehow contributing to society, this can strengthen free speech protections for the expressive party. This could be argued about a good amount of Cohen’s interview segments, where he gets up close and personal with political figures and even staunchly despised groups such as neo-Nazi punks. He has touched on important topics such as equality regarding sexism, racism, sexual orientation, classism, nationalism, and he has also tackled subjects such as antisemitism, gun rights, environmentalism, and hunting. Public figures are obligated to provide more information than an average person to justify their defamation claim. This is due to the fact that much of their life is already in the public eye, so celebrities are already aware of the importance of handling themselves in the appropriate manner. This issue regarding the right to privacy can be controversial depending on the information and context in question. Anti-SLAPP (Strategic Lawsuit Against Public Participation) statutes are in place to protect free-thought and encourage beneficial debate that can stimulate a healthy democracy. If a lawsuit is being used as a form of intimidation against someone for simply expressing an alternative point, then anti-SLAPP laws (which vary from state to state) protect the party that made the content. Violations of these laws include lawsuits that are purposely strung out to financially drain the expressive party. This is especially the case when the subject matter is regarding something of public interest. Was there actually any real damage done? Some folks have tried to argue slander, some have tried to argue financial damage. What About the Element of Deception? At this point in time, the law regarding deception is more focused on protection for consumers against things like false advertising and faulty claims, limited protection during interrogation, and lying under oath. There simply isn’t really anything specific under federal or state laws to prevent something such as a staged interview, meeting, or event conducted under false pretenses. At this point, one of the best ways a person can argue this is to sue for defamation with the help of an entertainment lawyer. The thing is, if there was a well-written release that was signed prior to airing, there isn’t much that can be done. Furthermore, if the individuals are already celebrities, then more is required to prove the defamation. Finally, if the upset party was acting as his or herself during any staged event, could he or she really hold anyone else accountable for something he or she personally chose to say or do at the time? Many times, defamation claims are made to get back at the alternatively expressing party, and these are part of the very reason that anti-SLAPP laws exist. 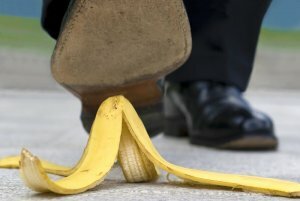 Even in cases where you sign a waiver before participating (including physical activities like white water rafting or ziplining), if you incur some any damage, be it physical or towards your reputation, it doesn’t hurt to explore your options with an attorney. It is likely that signing this document will make things more difficult for you, but there’s always the chance that the other party didn’t uphold their end of the deal (i.e. provided faulty equipment, improper maintenance, fraud, etc). Contact an attorney to fully explore your legal options and get a clear picture of where you stand.